One of the highlights of any southern Arizona nature outing is seeing the showy Neon Skimmer dragonfly (Libellula croceipennis) patrolling streams and rivers. 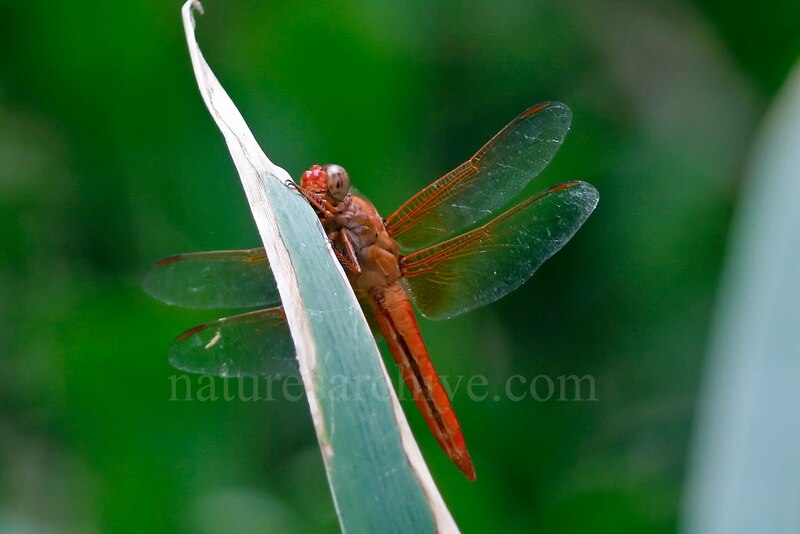 Its neon red coloring really catches your eye, and the fact that it is considered a large dragonfly helps it stand out further. 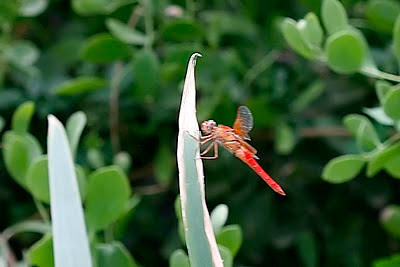 This Neon Skimmer was seen at Boyce Thompson Arboretum in their demonstration garden area near a small man-made stream. And for as red as the above picture looks (click on it for a full size view), its back-side (top-side) is even brighter. Unfortunately I was only able to snap a photo of its top side from a great distance. Neon Skimmer is a species unique to the southwest, though it can occur as far east as east Texas, and as far north as central California near the Sierra Nevada mountains. And there are a number of other colorful red skimmers that could be mistaken at casual glance, including Flame Skimmer and Roseate Skimmer.